After posting solid gain in each of the two previous months, The Conference Board's Consumer Confidence Index slipped in April. The closely-watched barometer of consumer sentiment fell 4.6 points this month to 120.3. Both the Present Situation Index and and the Expectations Index were lower. Consumers’ assessment of current conditions eased in April. Those who said business conditions are “good” dropped from 32.4% to 30.2%, while those who think conditions are “bad” inched up to 13.8% from 13.1%. The view of the labor market was moderately less favorable, as those who believe jobs are “plentiful” dipped from 31.8% to 30.8%, while those who think jobs are “hard to get” was virtually unchanged at 19.1%. There was less optimism about the short-term outlook. The percentage of consumers expecting business conditions to improve over the next six months declined from 26.9% to 24.8%; those looking for business conditions to worsen jumped from 8.5% to 10.9%. Consumers’ outlook for the labor market was also less upbeat. The proportion expecting more jobs in the months ahead edged down to 23.0% from 23.8%, while those anticipating fewer jobs went from 12.7% to 13.1%. The percentage of consumers expecting their incomes to increase fell from 22.5% to 19.3%, while the proportion expecting a decline held steady at 7.5%. 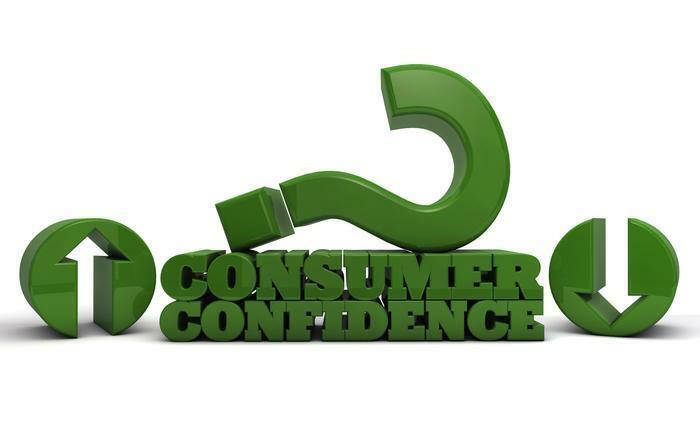 The monthly Consumer Confidence Survey, based on a probability-design random sample, is conducted for The Conference Board by Nielsen around what consumers buy and watch. The cutoff date for the preliminary results was April 13.